This costume turned out better than I imagined. 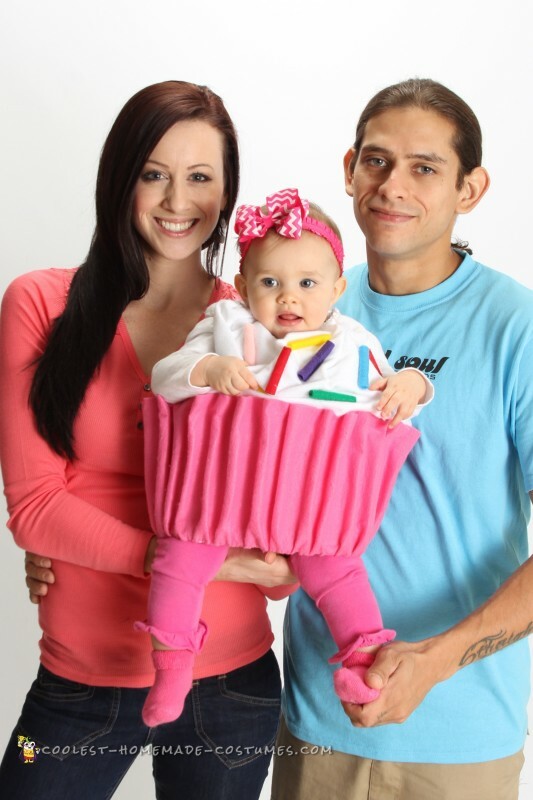 The idea came from daddy. 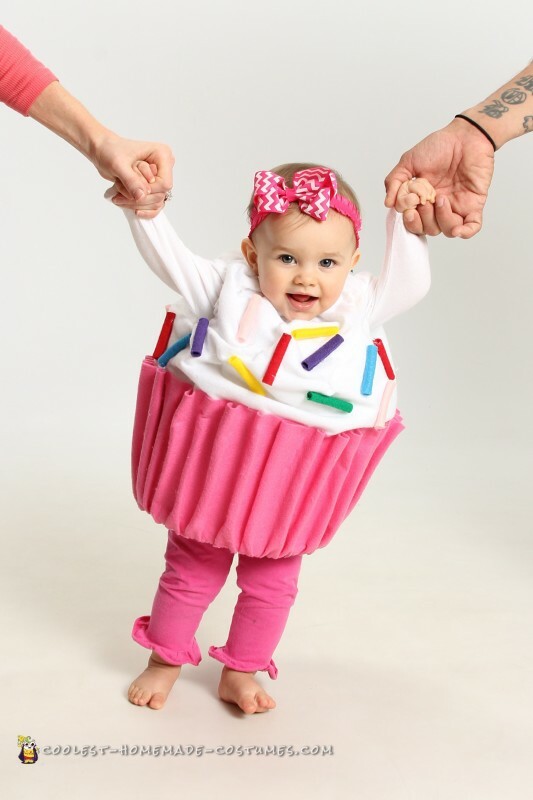 Right after Malia was born (in February) her daddy called her his cupcake and said she should be a cupcake for Halloween. 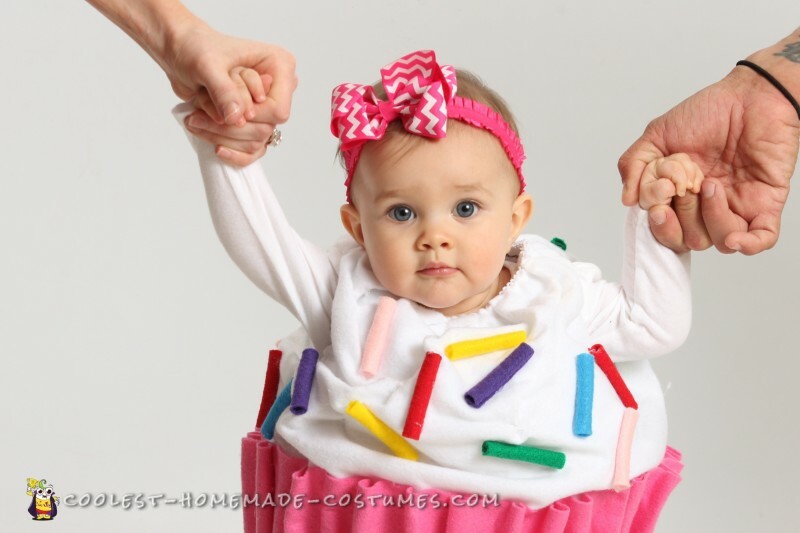 I scoured the internet for ideas for a baby cupcake costume and just did not find one that I loved and so began the creative thought process. I started with a white onesie that was one size too big. Next, I sewed one of daddy’s tank style undershirts to the outside of the onesie and added stuffing in between. Then, I sewed velcro up the back so I could easily open it to slide the baby inside. After adding white felt to the outside and bunching it in random places, I then sewed plastic canvas around the bottom to make the base for the wrapper. Then pink felt was hot glued onto the canvas to complete the wrapper. Took about 14 hours to put it all together. This costume got amazing reactions from everyone! We took her to a few events in her costume and so many people made comments about how much they loved it and how we should post it online so the rest of the world can enjoy her too. I can’t begin to tell you how much of a hit Malia was in this costume! Enjoy!